As a consequence of its annual fairs and the large number of religious refugees, the Free Imperial City of Frankfurt maintained a close trading relationship with the Dutch Republic as of the 16th century. The production of art, the art trade and the art collections in Frankfurt were deeply influenced by the Netherlands. 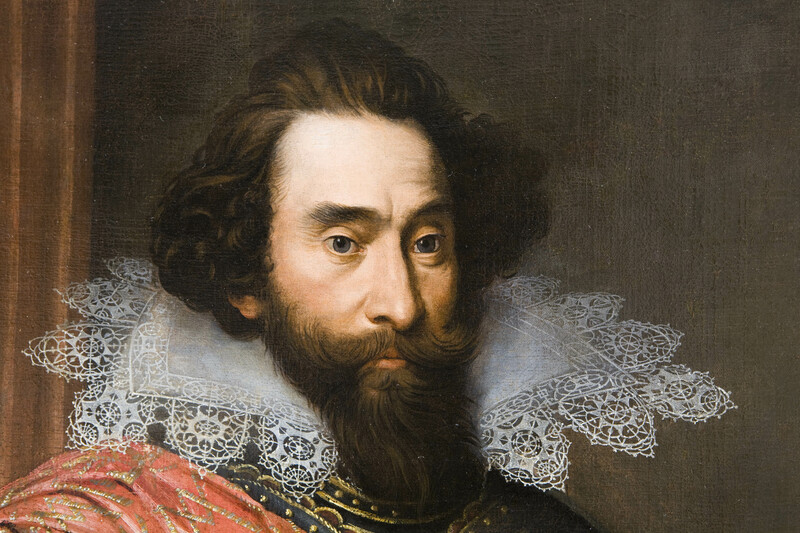 Particularly the Städel Museum, boasts superb holdings of Netherlandish art. 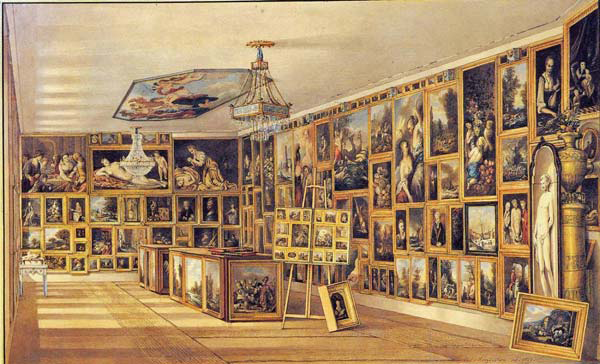 The Historisches Museum Frankfurt, too, has collections of 18th and 19th-century paintings assembled by Frankfurt citizens. They will be on view in the spring of 2012 as part of the new permanent exhibition Frankfurter Sammler und Stifter. Three of these collections are of special importance for art historical research. 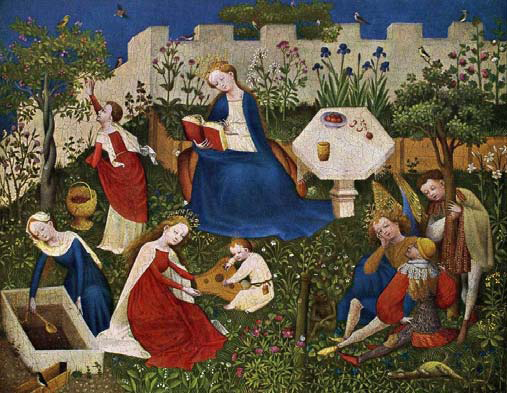 First is the one assembled by the pastry cook Johann Valentin Prehn (1749-1821) counting more than 800 miniature paintings kept in 32 folding cabinets, including the famous circa 1410 Little garden of Paradise by an Upper-Rhine master. Second is the collection of the painters Johann Ludwig Ernst Morgenstern (1738-1819) and his son Johann Friedrich Morgenstern (1777-1844), who made miniature copies of 205 of the pictures they restored for Frankfurt collectors and art dealers. Third is the collection of Johann Georg Christian Daems (1774-1856), a merchant who came from the Netherlands, of paintings from the 17th to the 19th century. All three contain a large number of works by and copies of Dutch masters. Primarily the Prehn and Morgenstern collections are important sources for research on the trading, collecting and classifying of works of art in Frankfurt in the late 18th and early 19th century. Therefore, the Historisches Museum Frankfurt with support from the Ernst von Siemens Kunststiftung in Munich, and the Adolf- und Louisa-Haeuser-Stiftung in Frankfurt, has initiated a research project on the Prehn collection with the aim of realizing a scholarly catalogue (the first since 1843) and a database that can be consulted online. Given the fact that it concerns a fairly large and – and also qualitatively – heterogeneous collection of paintings from the early 15th to the early 19th century, this is no small task. There are bound to be interesting results. Such a project cannot be realized without the advice and assistance of colleagues at home and abroad. Accordingly, we are eager to present this project at the Market of ideas. Regarding the practice of collecting paintings of small-format: Are there similar collections and similar manners of display, especially in the Netherlands? Over the practice of breaking up paintings into fragments : What is known about this practice regarding art commerce and art collecting? Can the Prehn collection of originals, copies and fragments be considered as typical for this period and for a middle class collector? Wolfgang Cillessen studied history of art in Berlin. From 1992 to 1994 he was volunteer at the Staatliche Museen zu Berlin, Preussischer Kulturbesitz, and from 1995 to 1999 he was curator of the departement of prints & drawings of the Deutsches Historisches Museum Berlin. Since 2006 he is curator of paintings and of prints & drawings at the Historisches Museum Frankfurt. Cillessen has published widely on 17th- to 19th-century political iconography and caricatures. Julia Gierse studied history of art, archeology and German language at the Universities of Würzburg and Freiburg. Her doctoral thesis (2006) was titled The iconography of baroque sacristies in Austrian monasteries. From 2005-2007 she volunteered at the Gemäldegalerie Alte Meister in Kassel assisting in the preparation of three Rembrandt exhibitions. Since then she has worked on various projects at the Landesmuseum Mainz and the Historisches Museum Frankfurt. Gierse has published on paintings by Rembrandt and Rubens.